I didn’t know it could be this fun to create Halloween projects! The new collection The Witching Hour is so inspiring. 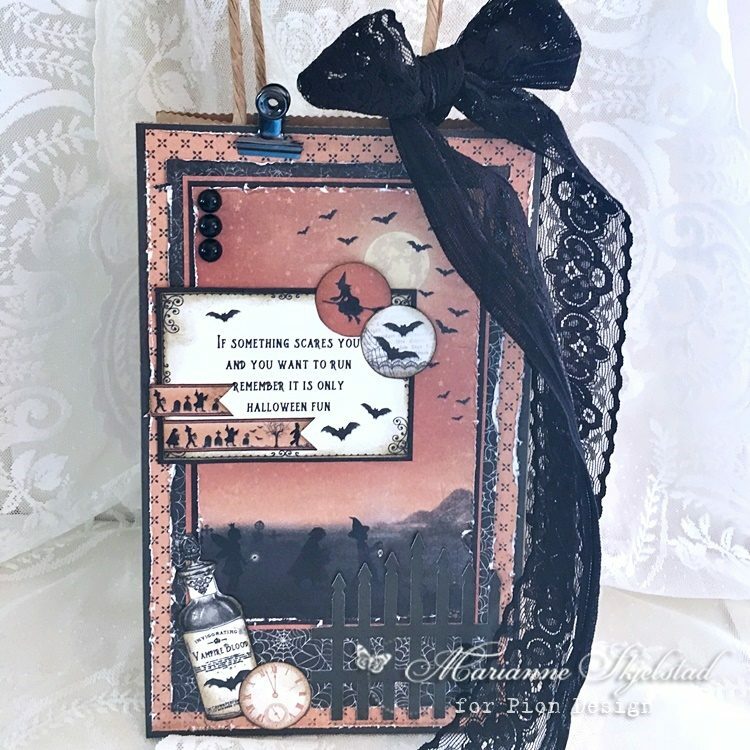 If you think that Halloween papers aren’t for you, I can tell you that these papers are so versatile and perfect for numerous projects, like Birthday cards for both boys and girls. My first project is a decorated bag for Halloween treats.